Helena José Virgílio, José Maria, and Pedro Terezanane represent hundreds of heroes who, come rain or come shine, guarantee the availability of medicines and other medical commodities in health centers. As a result, patients countrywide have access to the medicines they need. 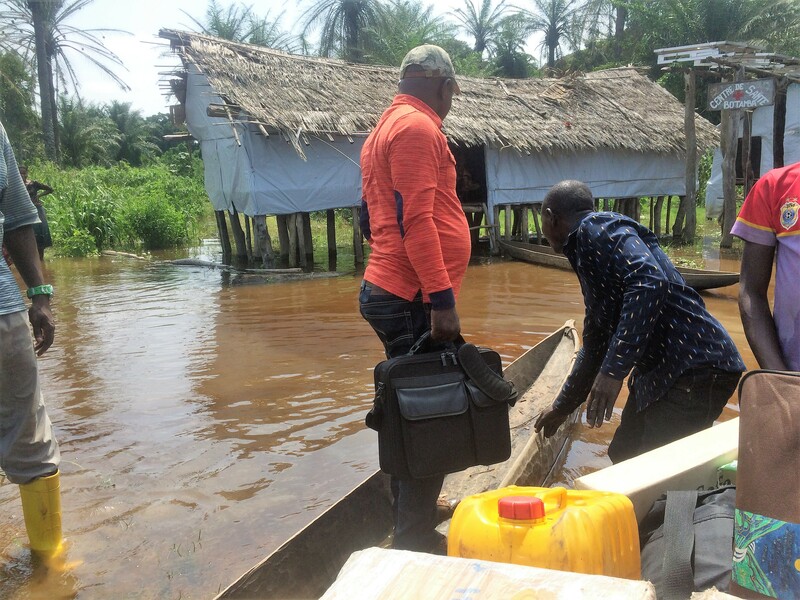 In addition to being the day-to-day heroes who ensure the availability of medicines in the health centers, they share the same expectations for the introduction of the Last Mile Supply Chain program. To transform health care delivery in far-reaching areas of Mozambique, it takes creativity, thinking outside of the box, resilience and strong commitment. It also requires a team approach and a lot of early buy-in. Engaging with a wide variety of stakeholders and being inclusive of a range of voices from the start is paramount to the work that we do at VillageReach, and particularly with a new and evolving technology like drones. 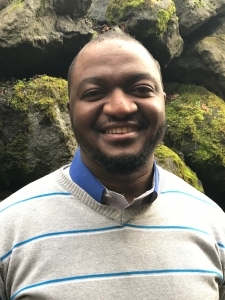 Dauda Majanbu is trying to solve a complicated problem: delivering family planning supplies to rural health centers in Nigeria. It’s a problem that requires collaboration while also expertly managing resources and expectations. 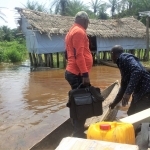 As the lead for the Family Planning Access for Women project at VillageReach, Dauda works with the government and partners to strengthen last mile distribution systems for contraceptive, maternal and neonatal health commodities in two Nigerian states. Imagine this: you have a cough. At first, it’s annoying, but you try to ignore it. It grows more persistent and you start worrying about getting your kids sick, so you decide to go see a health professional. Now imagine the nearest clinic is 10 kilometres away or more — and even though you’re coughing and tired, you have to walk or ride a bike to get there. You have taken time away from work and used precious financial resources to get to the clinic. 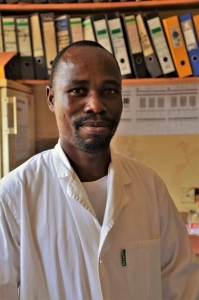 Once you arrive, the health worker decides to test you for tuberculosis (TB), and says to return in 2–3 weeks for your results, as the health facility does not have a laboratory on-site. The day of your follow-up arrives, and you again make the 10 kilometre trip back to the clinic. But there is only disappointing news: they couldn’t get the specimen to the laboratory fast enough, and therefore the test could not be conducted. They recommend that you travel even further to a different facility and repeat the test. Meanwhile, your family has also started coughing. Feel frustrated? Or hopeless? This is a reality that VillageReach along with DFID Mozambique, Ministry of Health, and other partners are trying to change in rural Mozambique. And we are doing it using drones. 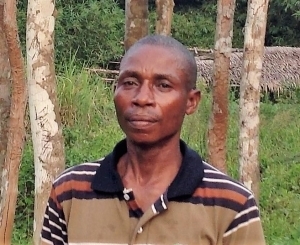 I had the privilege of meeting Ruphin Ndumbala on my recent visit to Equateur province, DRC. 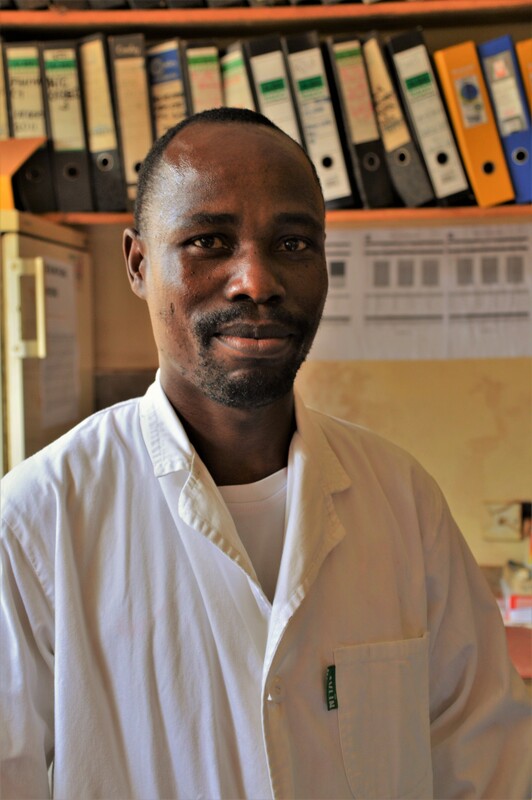 Ruphin is one of the many frontline health workers who go above and beyond to ensure vaccines reach every last child. Recently, he made a promise, and I was honored enough to see him deliver. Stories coming from Lolanga-Mampoko district in Equateur province often focus on the challenges communities face in accessing health care. I see these challenges every day and work with partners to help communities overcome them. But not all of our stories are about challenges. 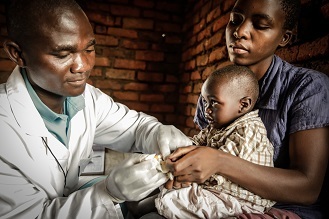 For this African Vaccination Week, we are celebrating what we have achieved over the past year. Vibrio cholerae can steal through a community quickly and quietly. This bacteria spreads in water or food, causing acute diarrhea that can cause severe dehydration and death in just a few short hours. But, cholera is both preventable and treatable. These crowds are a testament to the Government of Zambia’s commitment to social mobilization to raise awareness about the country’s oral cholera vaccine campaign. Photo credit: CIDRZ. 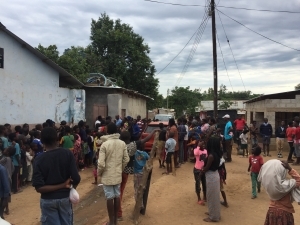 Zambian Minister of Health Chitalu Chilufya has seen first-hand the impact of cholera, and understands the vital role governments must play. As he said in a recent African Center for Disease Control (CDC) board meeting, it is unacceptable that a preventable and treatable disease such as cholera has continued to claim millions of lives worldwide. Dr. Chilufya agreed to sponsor a resolution on the elimination of cholera at the 2018 World Health Assembly – an important step towards global action. What technology has had the biggest impact on vaccine supply chains over the last 10 years? There is no ‘magic bullet’ that has revolutionized vaccine supply chains over the last ten years. Instead, a range of technologies working in concert with one another have contributed to more effective and efficient supply chains. Developments in cold chain technology, data gathering and analytics, and even in transportation have all had significant impacts on the availability of vaccines. These technologies all must work in-sync with each other to provide both the infrastructure and information needed to ensure vaccines are available where and when they are needed and in the right condition. We must also ensure these technologies are appropriate and available at all levels of the supply chain. As a global community, we have greatly improved the systems, infrastructure and financing to ensure sufficient vaccines reach low-resource countries, but the real impact comes when these technologies and systems work all the way down to the last mile as well. Nous allons prendre les vaccins au dépôt du Bureau central de la Zone de santé situé par pirogue à ramer. Depuis plus de 14 ans, nous allons prendre les vaccins au dépôt du Bureau central de la Zone de santé situé à 135 kilomètres d’ici par pirogue à ramer et le voyage dure 4 jours au moins. Quand nous rentrons avec les intrants au niveau du centre de santé ici à Monzambi, on arrive très épuisés par le voyage qui exige beaucoup d’effort à fournir mais, malheureusement, on ne ramène en plus que des vaccins virés ou en voie de l’être à cause de l’interruption de la chaîne de froid puisque nous transportons ces intrants avec des boîtes isothermes dans lesquelles nous mettons les accumulateurs. Cet appui de VillageReach nous permet de nous occuper aisément de nos malades, d’économiser nos énergies et d’améliorer nos stratégies de vaccination. Une bonne chose nous est arrivée maintenant depuis le mois de juillet 2017: VillageReach appui régulièrement le transport des intrants de bonne qualité en bonne quantité et dans les bonnes conditions depuis l’antenne provinciale du Programme élargi de vaccination (PEV). Cet appui de VillageReach nous permet de nous occuper aisément de nos malades, d’économiser nos énergies et d’améliorer nos stratégies de vaccination. Nous en sommes très reconnaissant et implorons à VillageReach de continuer à nous soutenir.